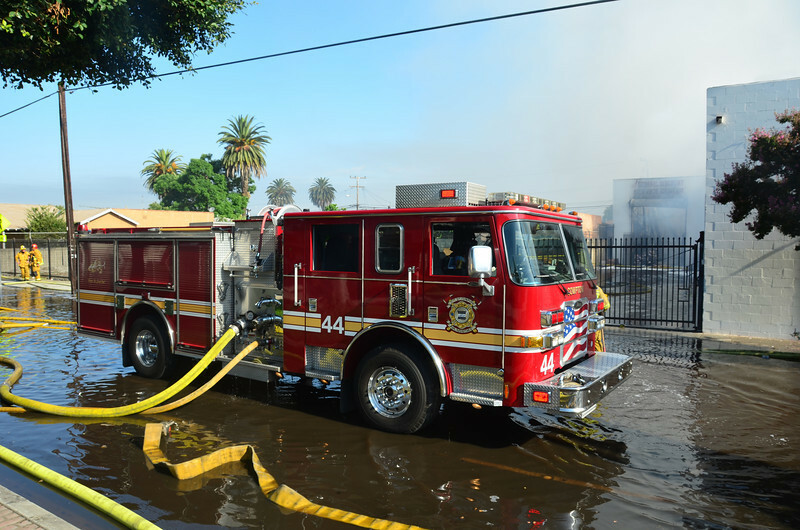 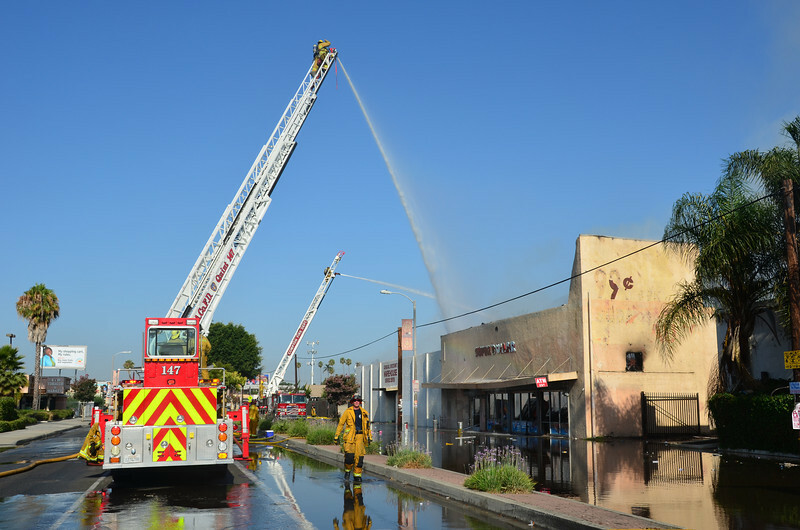 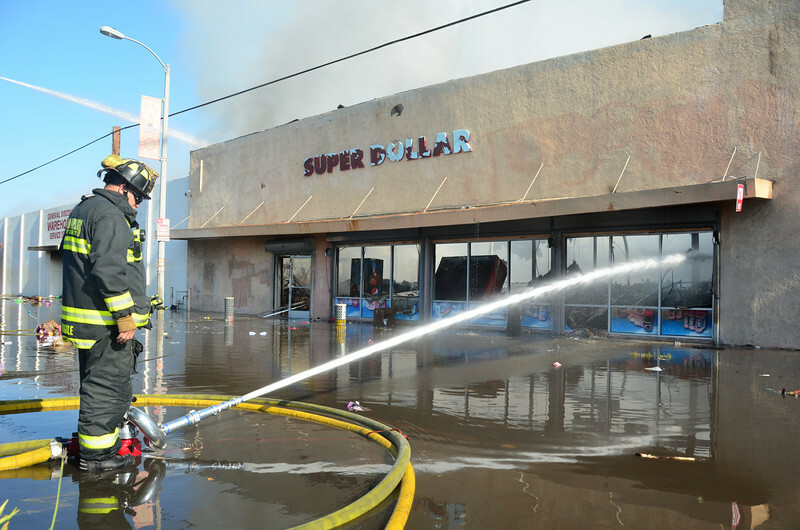 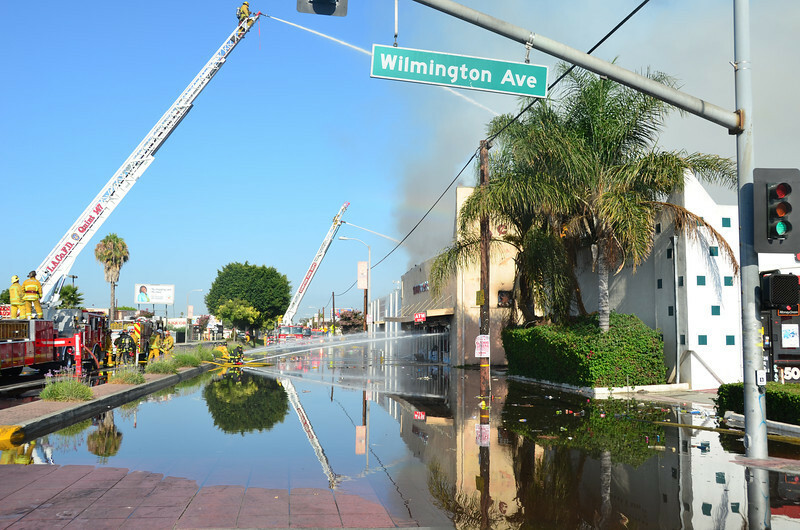 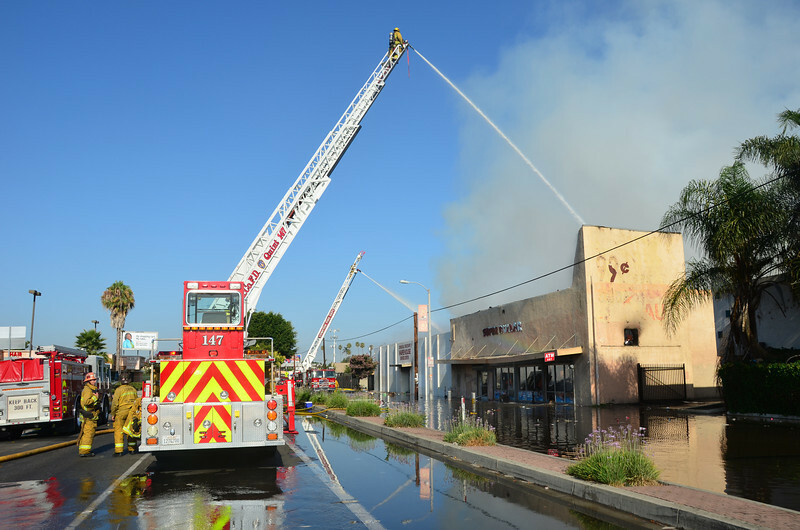 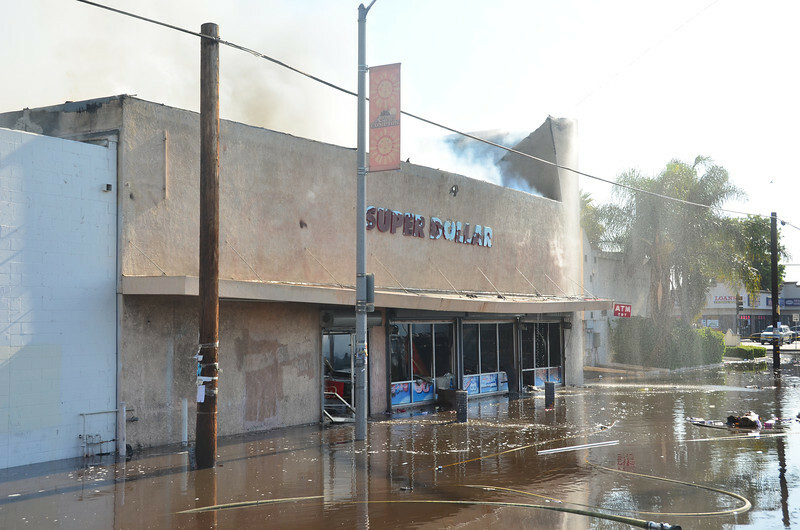 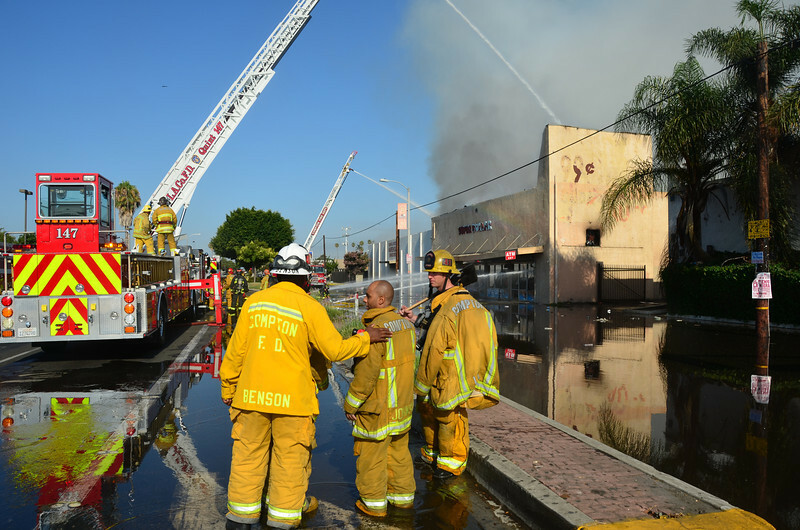 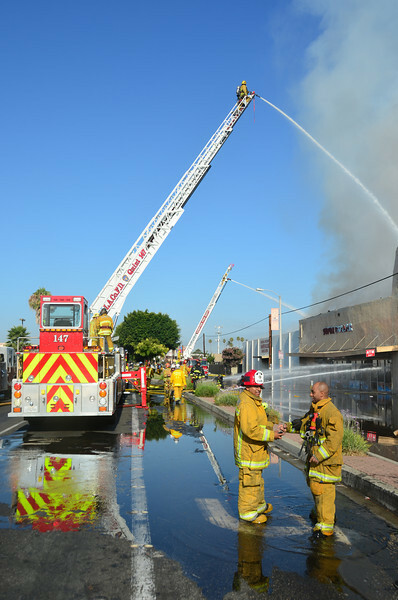 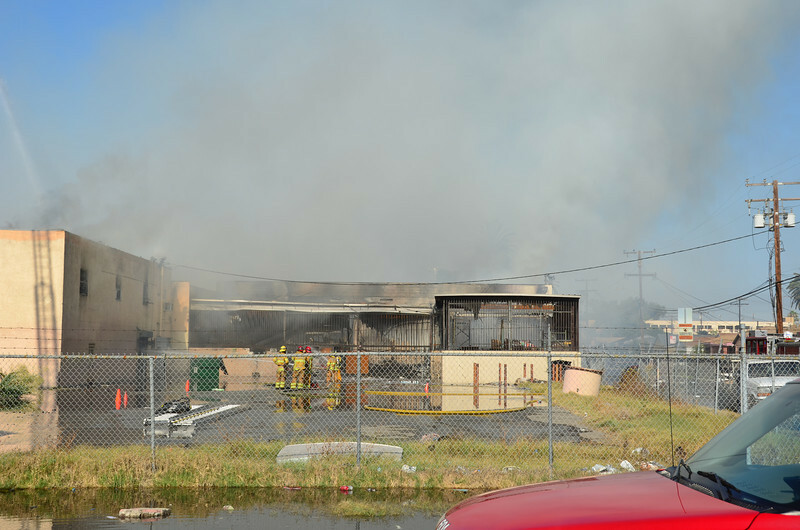 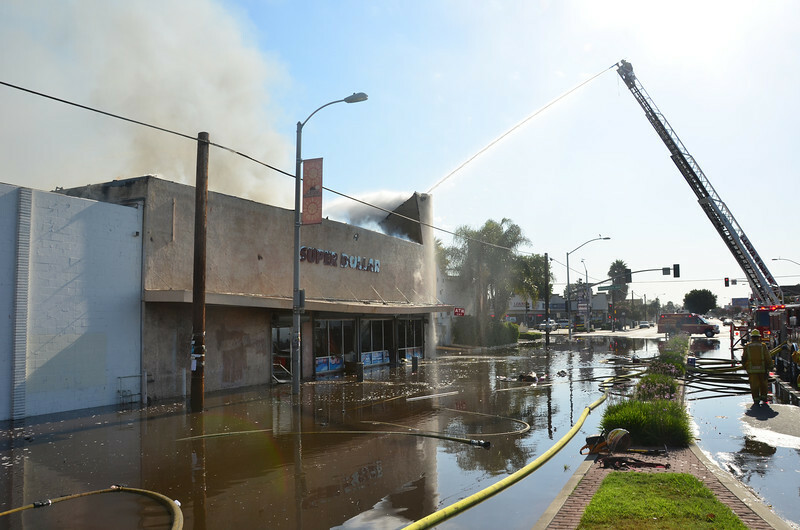 3rd Alarm Commercial Structure Fire, Rosecrans and Wilmington, Fire in the "Super Dollar" (75'x100') and "General Discount Warehouse"(125'x200'). 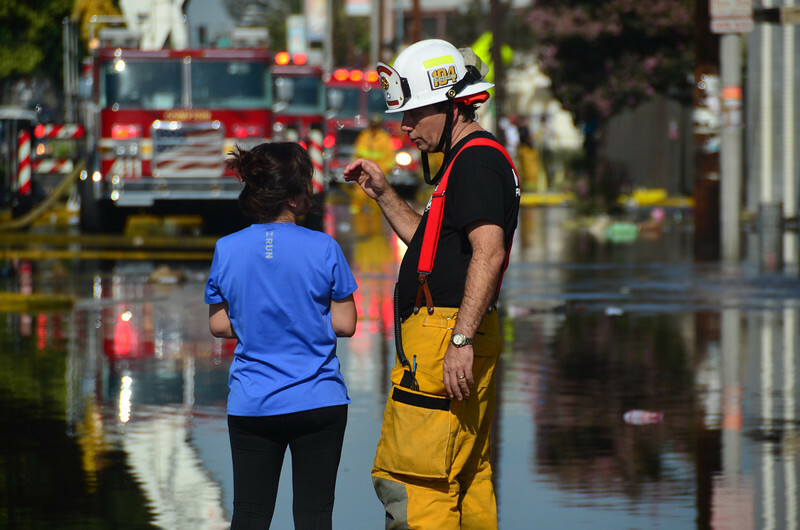 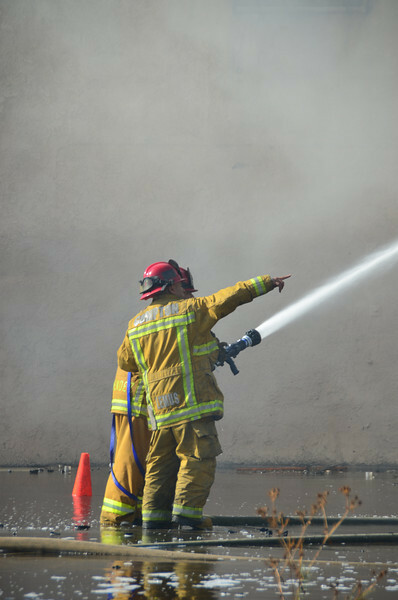 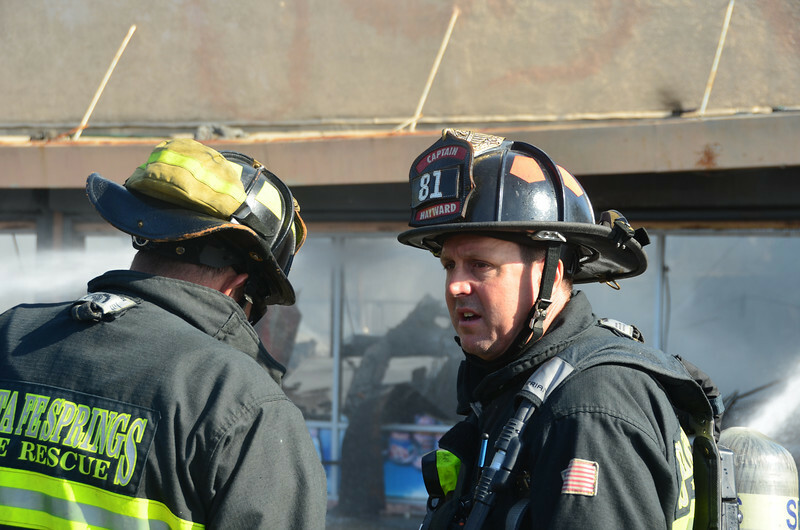 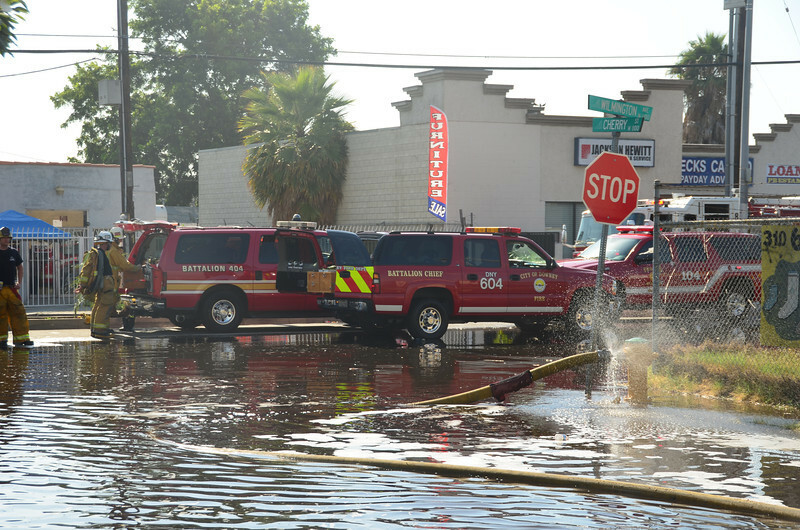 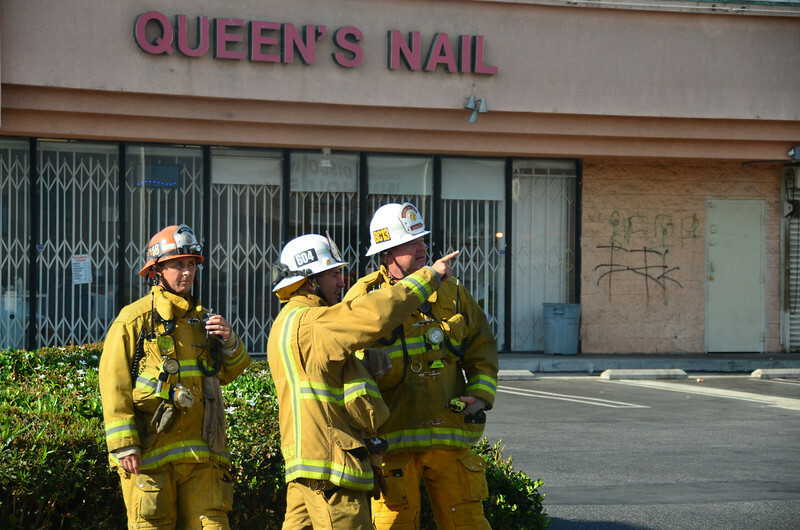 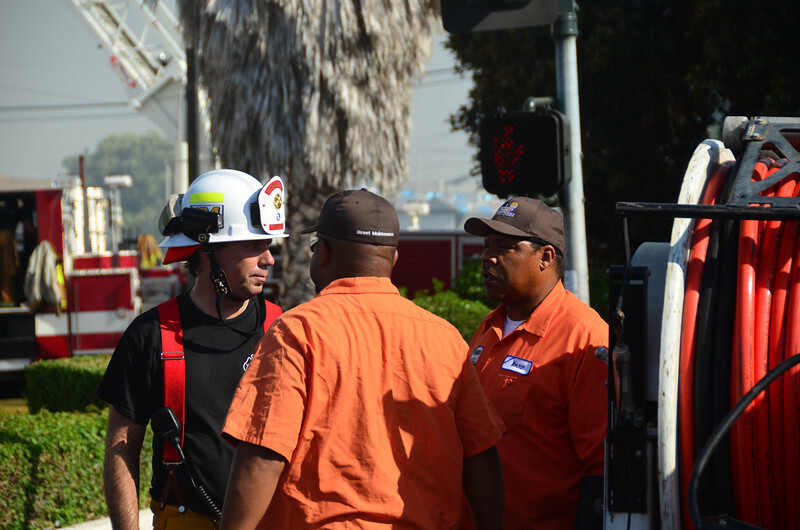 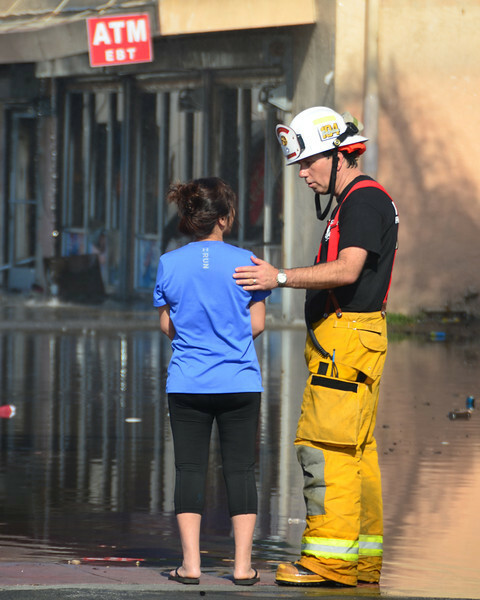 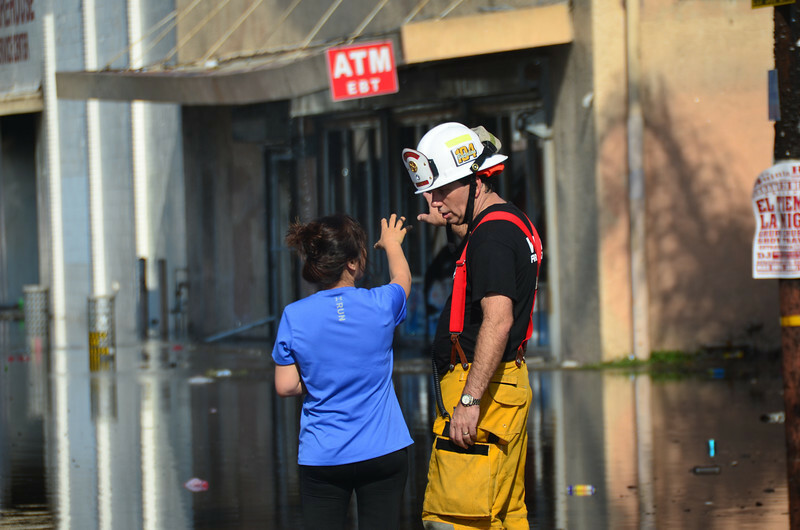 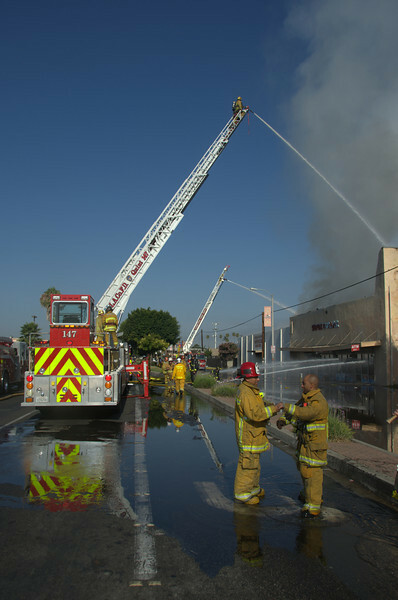 LACoFD responded on the 3rd alarm. 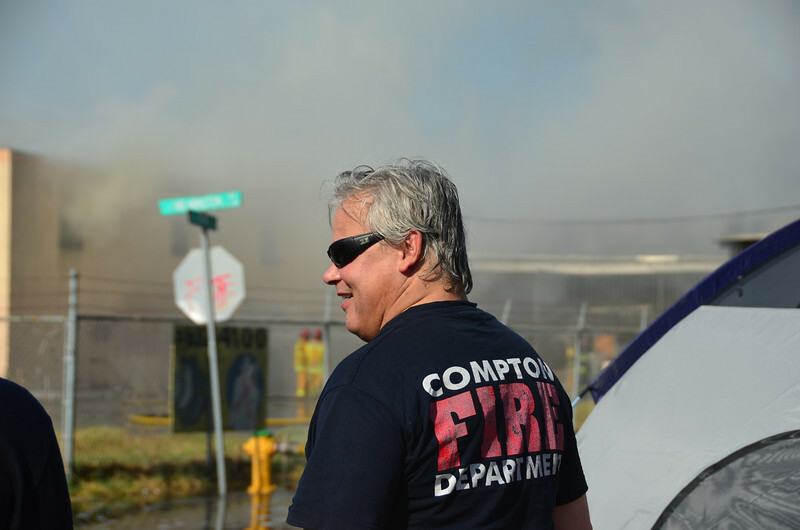 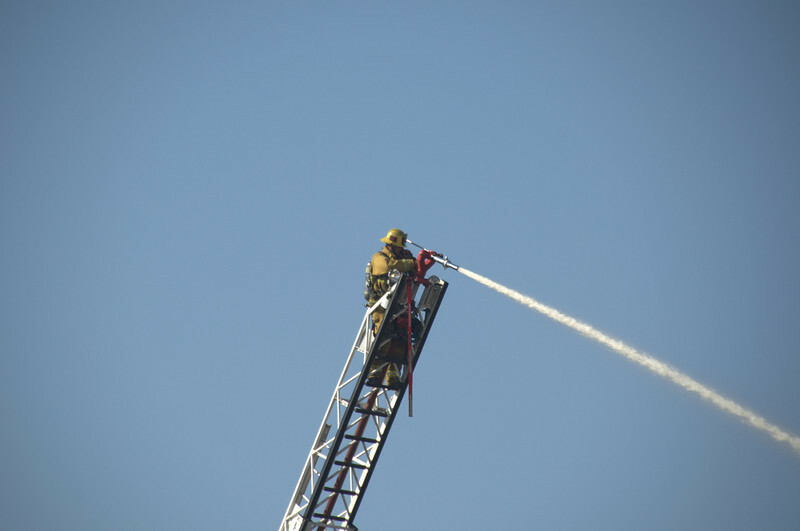 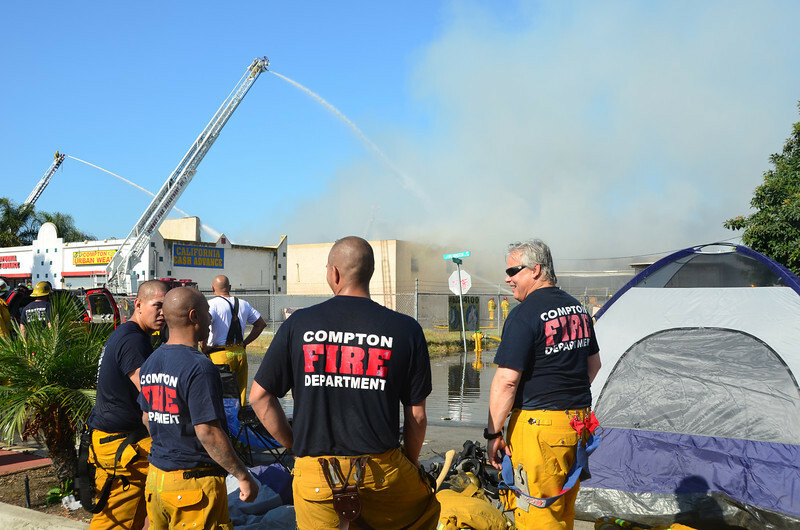 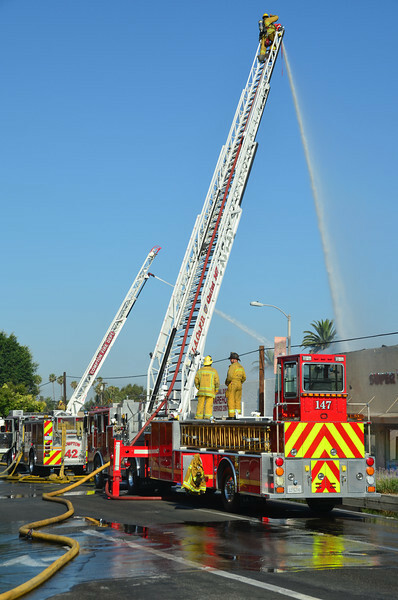 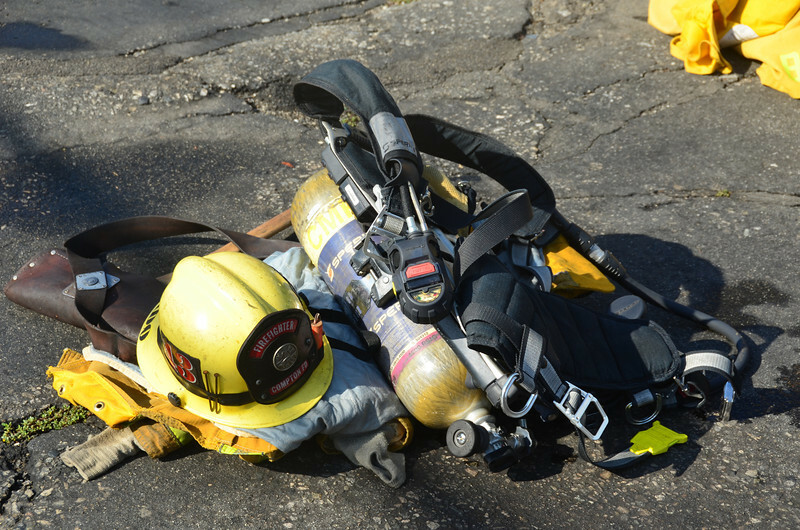 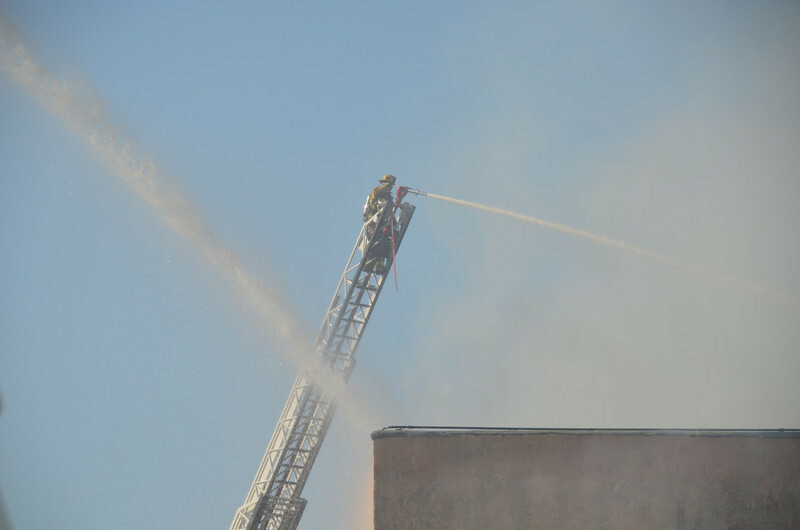 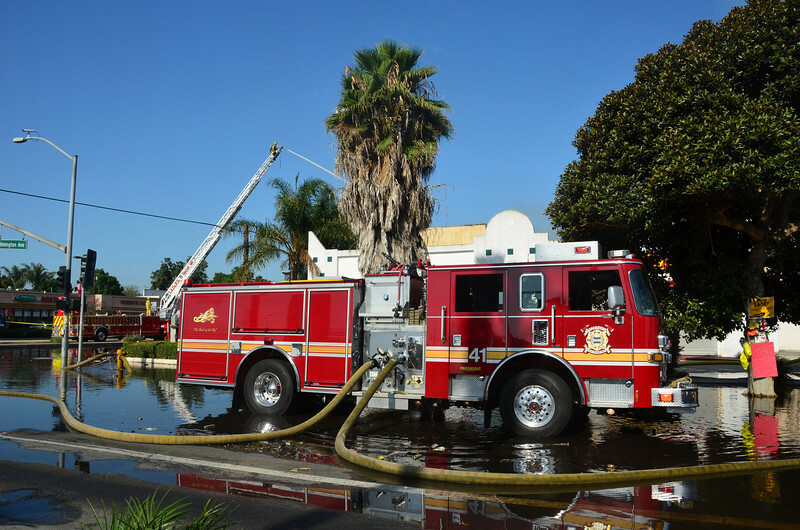 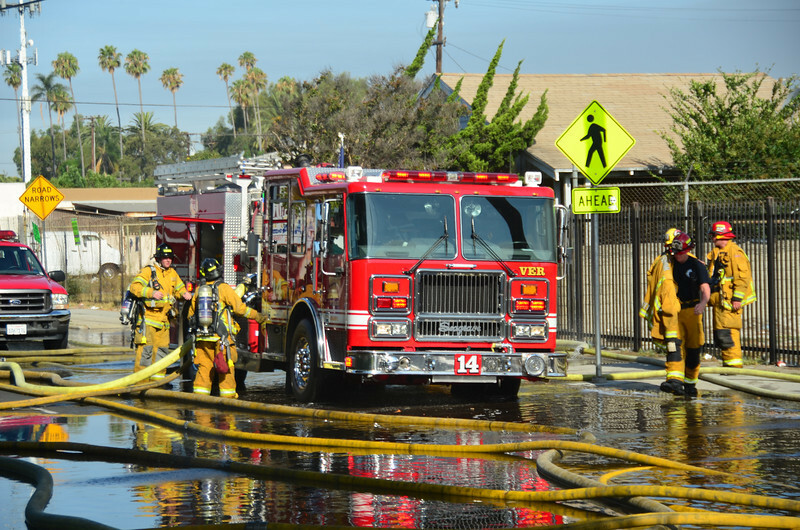 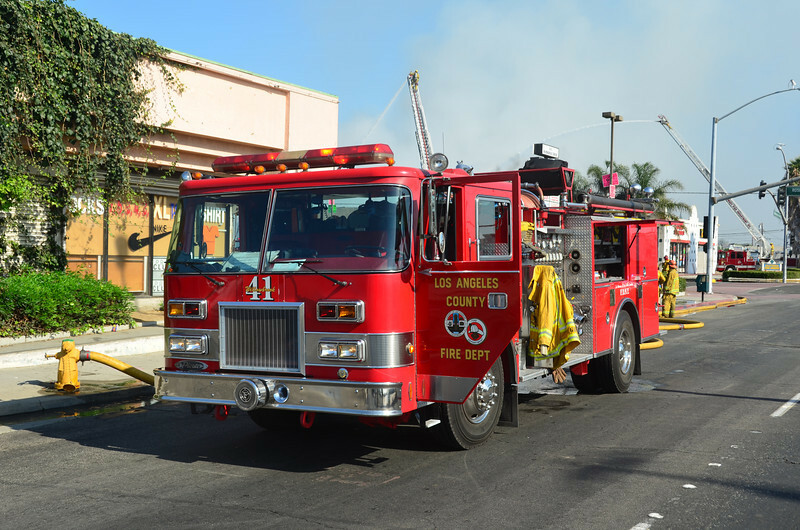 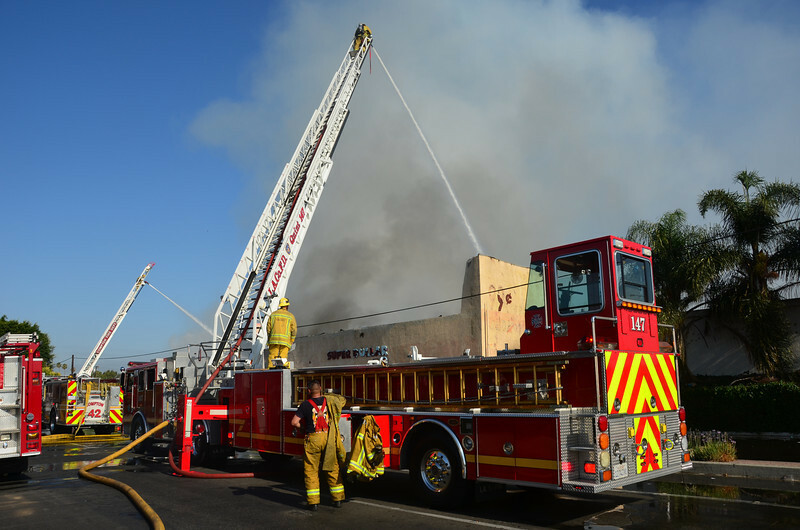 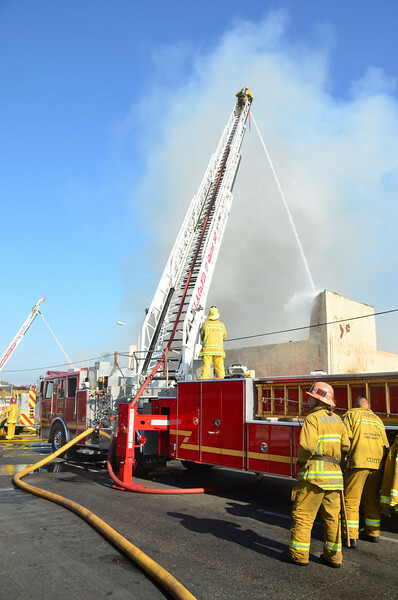 Compton 411, Downey 611 and LACoFD 147 set up ladder pipes. 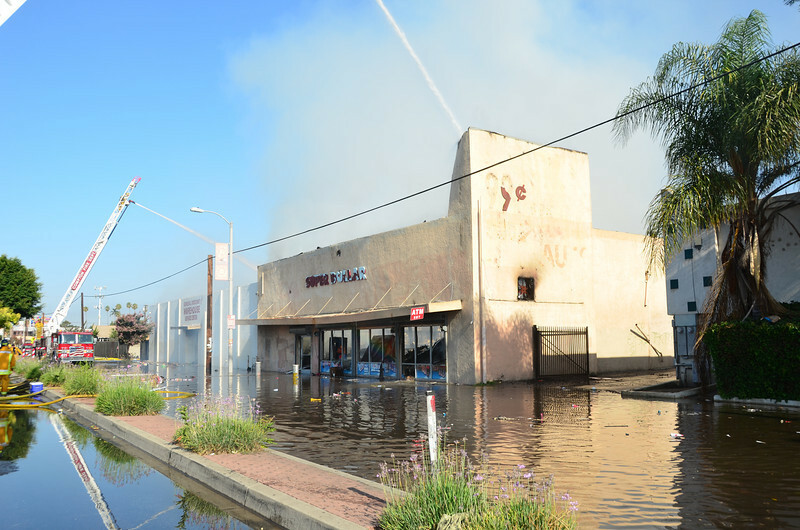 Both structures were total losses. 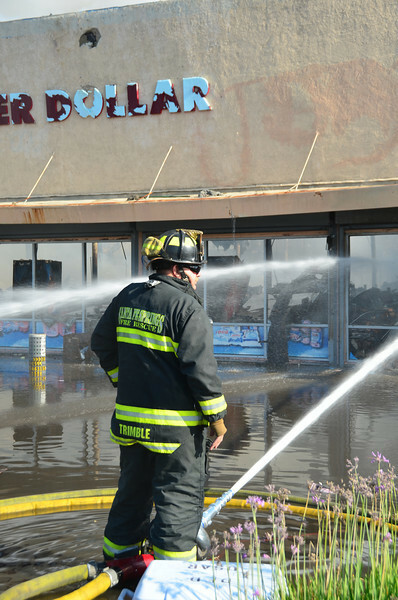 0608: 421 is "Cherry command" to the rear of the "Super Dollar" and is in a defensive mode.